We’ve all been in an awkward situation where we wished we could get out of, whether it’s standing around the watercooler listening to Bob discuss too many details of his dermatologist appointment, sitting next to the crazy guy on the train, or you’re just on a horribly bad date that couldn’t end soon enough. Actually, the latter is probably the inspiration of this fake phone call app, and that’s why it’s called Bad Date Rescue. Bad Date Rescue can initiate a fake call immediately, in 1 minute, 5 minutes, or on a set schedule, and the calls can appear from four different fake sources: a repetition script, a fake boss, a fake mom, or a fake neighbor, all of which have some immediate catastrophe that must be addressed right now. To make the fake call even more believable, you can edit the contacts name, ringtone, and contact picture, practically guaranteeing no one will think the entire thing is a hoax. This is a pretty funny app and it definitely has some legitimate potential uses whether you’re out in the dating scene or just wanting to find an excuse to leave a dreaded situation. 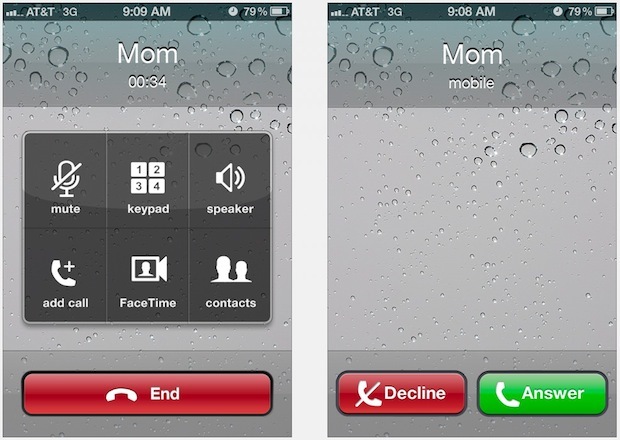 Be gone awkward social encounters, and have fun out there knowing a fictitious call is just a few taps away. coulda used this last weekend, what a doozy! Has it come to this? lol! Yey, Yippie, somebody’ s calling me! I’ll never be lonesome again. the knocktocall.com app is simple to use. Update UI for iOS7.1. You should download that app.